The Institute of Advanced Studies (IHS) in Vienna invites applications for a PhD fellowship on EU legitimacy crisis and European elections as part of the ARENA-coordinated PLATO project. - Initiatives to push the gender equality agenda often meet resistance from member states and powerful interest organisations, says EU researcher Helena Seibicke in this interview on the International Women's Day. 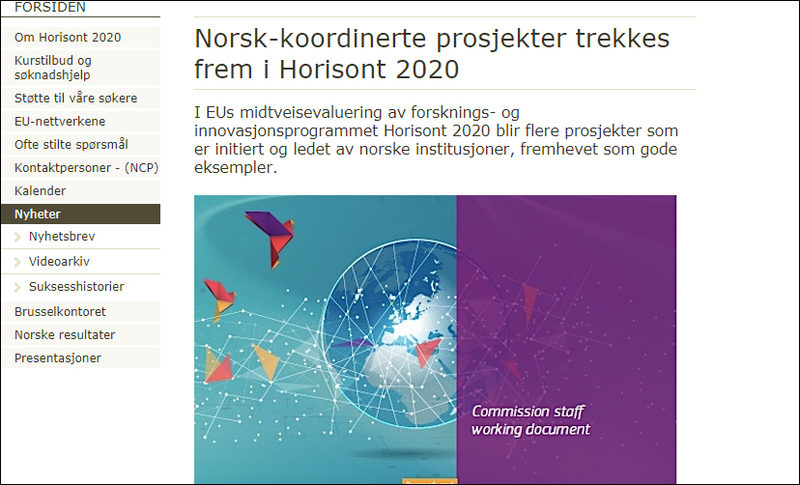 The European Commission calls GLOBUS an early success story in its interim evaluation of the Horizon 2020 programme. Differensiering og fleksible relasjoner med EU blir ofte oppfattet å være et uttrykk for landenes uavhengighet og autonomi. Ny forskning fra ARENA tyder på at det kan være stikk motsatt, noe som lover dårlig for britene etter Brexit.